We chatted a bit about how all this developed. But then Jayne shared her frustration in trying to get an organization to support the model – allowing her informal volunteering to develop naturally into something more formal. That way Jayne would not be all alone in supporting her neighbor and, perhaps, it might be a way to connect her neighbor to other available services she could use. First, she contacted the local animal shelter to see if they could help her to find other nearby volunteers who could handle the dog walking for her neighbor when Jayne was not available, also mentioning to the shelter how this could be a wonderful volunteer service in general to assist older people with pets. The answer was no, along with various comments on the risk and liability of such a plan. Then she contacted the local senior center and got the same answer for the same reasons. Having become friends with the pastor of a church on her block (which both of her neighbors attend), she contacted him to put a notice in the church bulletin about this volunteering opportunity. He did – but no one from the congregation came forward to help walk the dogs although, she noted, parishioners do volunteer to support this neighbor in other ways. Can we ever capture and build on the ways that some people naturally help others? Do volunteer resources managers focus too much on formal volunteering systems while overlooking more casual yet highly meaningful opportunities for service? How do we react when someone suggests a completely new service? What’s our role in fostering and supporting self-help and mutual aid? On one hand I want to avoid implying that we should co-opt neighborliness or simple kindness. People do not need us to organize their personal interactions and we can kill off enthusiasm by developing systems for channeling it. Also, I do understand concerns about the safety of both clients and volunteers, and the need for a degree of accountability, if not control, over activities done in the name of an organization. On the other hand, we can learn something from the mutual aid that evolves organically based on real needs. For one thing, people are pretty good at knowing what service they would like to receive. Jayne’s neighbor wants to do right by the pet she loves. Someone else might need the lawn mowed, or an occasional outing to the mall, or a tutorial in using a smartphone. In the same vein, people generally know the kinds of things they can or like to do and when they can do it. Note that sometimes they will put a great deal of effort into a time-consuming favor; other times they will only do what is possible in tandem with errands they are already doing for their own family. Is there a way to build on such one-to-one exchange so that we can meet the needs of more people in a coordinated way? That’s often what “community organizing” and neighborhood associations are all about; I’m focusing here on how we might integrate informal service with the other types of volunteering opportunities we create. Think about how this sort of collaborative approach can foster the feeling of community. If you are working in any sort of neighborhood organizing role, I highly recommend the process as a way to get people acquainted with and valuing one another. It also has great meaning in a residential setting, school, or faith community, where residents or members expect to develop relationships with one another. 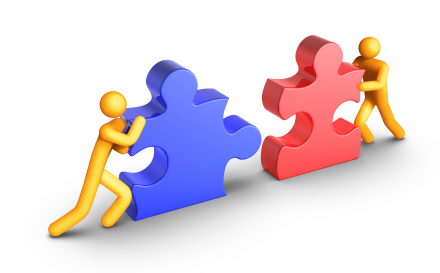 The key is creating the opportunity to make the mutual commitments and then following up. Every December we see all sorts of holiday gift exchanges, including trees hung with children’s wish cards which anyone can take and fulfill. That concept could work in other ways. Rather than requests for things, however, the volunteer office could coordinate gifts of time. Brainstorm what the people you serve might need or like that could be accomplished within 1-2 hours – as much as possible, actually ask clients directly, though anyone who knows them well could also contribute to the wish list. The ideas do not have to be complicated. For example: help me organize a box of photographs; show me how to Skype with my granddaughter; when the azaleas are in bloom, take me to the park to see them. Post the wishes (without identifying the client) on a physical bulletin board, or put them into a fish bowl, or post them to a Web page. Once a volunteer has selected one, then you provide information about the specific recipient. Some needs only take a few hours to fulfill, but they are continuous, recurring daily, weekly or monthly. One option is to find several volunteers willing to share that role or you might offer such roles to families who could rotate the assistance among themselves and commit to several months of service. The same idea might work with a nearby faith community, service club, or business. Another variation might be to partner with a local school and enlist the students and teachers in fulfilling the wish lists. All of this takes a different perspective of our role as engagers of volunteers. Sometimes it’s little things that make a big difference to the people we serve. If you really can’t find a way to organize this sort of one-to-one connection with brand new volunteers interested initially in such micro-actions, then at least offer it as a change of pace to current volunteers. Even more important, make sure that you invite clients to exchange gifts of time. In many cases you will find that being recognized as capable of helping someone else is a very powerful experience for people almost always treated only as recipients of someone else’s service. Finally, Jayne’s experience also illustrates how hard it is for someone to get support for a good idea that doesn’t quite “fit” into an established organization’s list of services offered. Naturally we cannot drop everything and create a new project just because someone asks. But if there is anything to be learned from the history of volunteering, it’s that every nonprofit around today began because a few mavericks and activists saw an unfilled need and started working on it. When you get a call from someone like Jayne, it may be an important early warning of new or different needs in the community that your organization perhaps ought to recognize. Or it may hold a seed of an idea worth exploring because it really does address your mission. For example, an animal shelter wants to protect animals and, ideally, keep as many as possible away from needing a shelter at all. Homebound older people means “shut-in” pets, too. Offering in-home volunteer pet care, even on a temporary basis, would ultimately protect more animals and relieve pressure on the shelter. Besides, most shelters have volunteers who would love more time directly interacting with an animal. The senior center might also find pet care to be a wonderful way to interact with older people who have not yet availed themselves of the center’s services. You can see the possibilities, I’m sure. Everyone can win. What informal volunteering do you initiate in your organization already? How do you engage clients in mutual aid? How do you evaluate new volunteer ideas? What other ideas can you contribute to this thread? I still don't understand the "risk" problem. Surely I'm not doing anything more risky than what volunteers for Meals on Wheels do, in visiting people at their homes? Or what Hospice volunteers by visiting people IN their homes? Or as a mentor for Big Brothers/Big Sisters? Or volunteers at the shelters in Portland that allow homeless people to bring their pets? How do they manage the risk? I would be so happy to help adapt policies and trainings at any local nonprofit that would be willing to help coordinate this service. The need for this service is SO great - surely we aren't going to let fear of risk stop us from providing service to people in rather dire need of such? Susan, what a wonderful illustration of the benefit of community development and informal volunteering. However, there needs to be a strategy to overcome the risk and liability with which you referred to: Most organisations are risk averse and will not be involved in brokering relationships within the community and then being found remiss in duty of care for not assessing the safety of those relationships. Further, they do not want to be involved in any event that may cause damage to their brand even if the chance is remote. If you have any tips to overcome same that would be wonderful, as our society is structured around transfer of risk and liability to an insurance company, and in turn the insurance company will then transfer liability back to the insured if the insured is found to be in breach of duty of care and risk management processes eg. sent a person to a house only for that person to become bitten by a nasty bull dog. It appears combining informal and formal is difficult in a world predicated on liability, risk and image. Susan - your comment about allowing service recipients to help got me thinking. At Ohio State's Wexner Medical Center, on occasion, patient's family members stop in to ask if they can volunteer. We typically think of only our 'formal' volunteer process which may not work for them. If we had supplies available to make fleece tie lap blankets or patient greeting cards - which external groups help with - these family members may feel great about the chance to give back immediately for the care their loved one is receiving.